Listening to music from your Android phone or USB in your BMW E46? BMW E46 is a very popular car of the premium class. Unfortunately, the audio system is quite limited if we talk connection options, and the use of modern gadgets can raise some issues. BMW E46 usually comes from factory with a radio cassette player, or radio CD, which literally does not support even a MP3 format. How can we listen to music from an Android phone or an external USB memory or microSD card in a BMW E46? The first solution – replacing the OEM CD player with an aftermarket one. The new players have high quality sound as well as RMS power. Also, new players have a dedicated USB port, where you can connect a memory stick with your favorite music. Here the disadvantage would be that the dashboard would not have the same clean aspect the OEM factory device had. 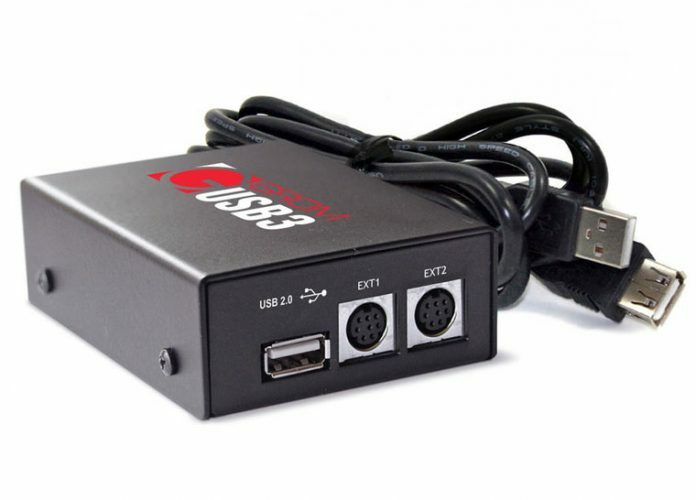 Of course, if you buy an aftermarket player, you need a frame adapter to integrate it perfectly in the dashboard, and it would also need adapted wiring, to make the connection between factory wiring and aftermarket audio jacks. Most cases, this wiring will also ensure keeping BMW audio steering wheel controls. The second solution – using a car kit for BMW E46, which connects to the back of the original player. This car kit has several outputs: USB, microSD, 3.5mm jack cable, and even Bluetooth on some models. The original CD player will be removed – we will connect the car kit using the included wiring, and we will listen to music from the Android phone or a USB memory, directly in the car speakers. 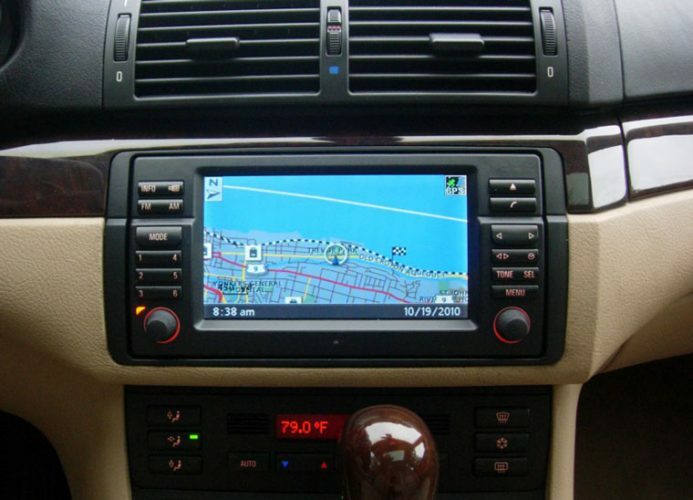 This solution is to be considered, because it keeps the same dashboard layout, and that one looks great on a BMW E46. The disadvantage is given by the lower audio quality, if you buy very cheap car kits. Groomaudio provides one of the most used car kits, and its audio quality is above average. These car kits work both with Android and with iPhone. FM modulators can play music from an SD card or a USB memory, broadcasting it via radio waves to the FM radio installed on BMW E46. Thus, by setting the same frequencies for the car radio & FM modulator, these two will pair. Now you only have to connect a memory with your favorite songs to the modulator and start playing. A big handicap is the low audio quality – there are noises and radio interference, loss of audio quality. The plus is that this one is a very cheap solution.